Around 1634 the Dutch Jan van Gents put up a small iron factory with a furnace. After Jan’s demise in 1641 his widow Bartge Jacobsdochter continued to run the factory. A few years later she merged with Huseby Manor trustee Christoffer Klatt, both in terms of business and privately. The basic material for the iron factory was iron ore (bog iron ore had marginal importance). The factory was an iron foundry. Furnace with foundry. The operation was directed towards foundry goods such as cannonballs, iron furnaces etc, which among other things were exported to Karlshamn and then further on to Denmark where many buyers were situated. After that a large part of the domain belonged to Admiral of the Crown Baron Carl Carlsson Gyllenhielm. Other families have been Sanlichs, Blom, Bergqvist, Fornander and Rudbeck. Ålshult was sold again in 1811 to the brothers and earls Malcolm and Hugo Hamilton, who had bought Huseby Manor but the business was less profitable than hoped for and was therefore terminated on Midsummer’s Day, 1827. After the ironmaster Joseph Stephens had acquired Huseby Manor in 1867 the ownership of Ålshult Manor also became his. Joseph Stephens was born in 1841 in Stockholm and was the son of the English linguist and archeologist George Stephens. Joseph Stephens came to Sweden to study and during his time in Stockholm he became good friends with priest son Gunnar Olof Hylten-Cavallius from Vislanda, who recommended him to take advantage of the sinking property prices and purchase an estate in Småland. In the early 1860s Joseph travelled to India to work for the railroad as a so called “constructor” at The Great Indian Peninsular Railway, G.I.P.R. He also did business with cotton and enjoyed hunting in this new land of opportunity. On the 9 th of August, 1867, Joseph Stephens signed the purchase-agreement for 600,000 rixdollars. It probably wasn’t just Hylten-Cavallius’ abilities of persuasion that tempted Stephens to buy, but also Hylten-Cavallius’ daughter Anna. Joseph Stephens fell instantly in love with the 19-year- old girl and they were engaged just a few weeks later. But Anna Hylten-Cavallius broke off the engagement and Joseph Stephens returned to India. But after a few years he returned and worked on agriculture, forestry and the work of iron at Huseby where he became a real ironmaster. In 1880 Stephens married Elisabeth Kreuger, daughter of Admiral Kreuger who had been a cadet friend of King Oskar II. Elisabeth had also been a dame at the Swedish Royal Court. 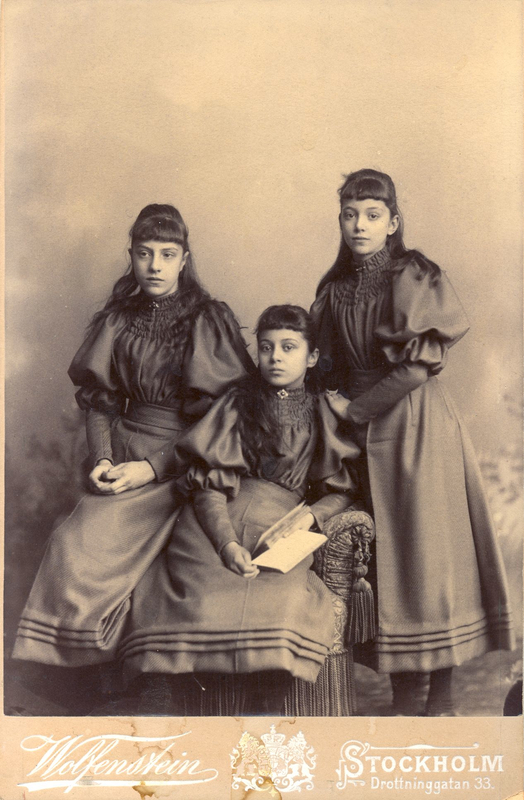 Barely a year later the couple’s first daughter was born, Florence, and over the next years came her sisters, Mary in 18882 and Maggie on the 23rd of September 1883. The girls were raised by a governess who gave them a general education and taught them to behave as correctly lady as was required of a girl from a good family, so that she could be presented at the Royal Court and hopefully marry a suitable and rich person. The family and the Swedish Royal family had close contact and King Oscar II and his son King Gustav V made a number of visits to the estate. When Joseph Stephens passed away in 1934 two of his daughters were unmarried and one divorced. Florence Stephens inherited Huseby Manor along with neighbouring estates, while Torne and Lästad Manor went to Mary. Maggie Stephens inherited Ålshults Manor. The main building of Ålshult’s Manor was built in the end of the 1700’s, and was extended in the 1730’s. Three wings were added to the plot. The house was given an interior according to the fashion of the time. Changes included, among other things, a rooftop that had dark-coloured stucco, parquet floor made out of oak and in various patterns in every room, central heating, open ovens and mantelpieces made out of marble. An English park was arranged in the beginning of the 1940ies. 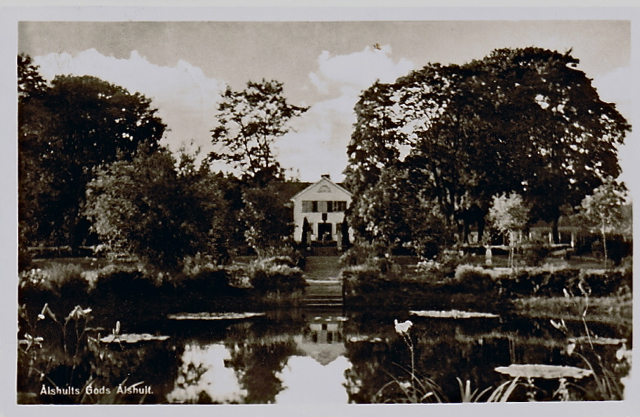 Lady Maggie Stephens left Huseby in 1936 and placed herself at Ålshult’s Manor. Along with her came the servant Karl Sjösten, mamsell Johanna as well as bailiff Arvid Almskog. The servant and the bailiff stayed in service of Lady Maggie the rest of their lives. Mamsell Johanna had been the maid at Huseby since the year 1900. The servant Karl looked after the park with belonging garden and served Lady Maggie dinner. She was very pleased with her bailiff Arvid Almskog and happy about the improvements which they together had decided and which he made sure came through. 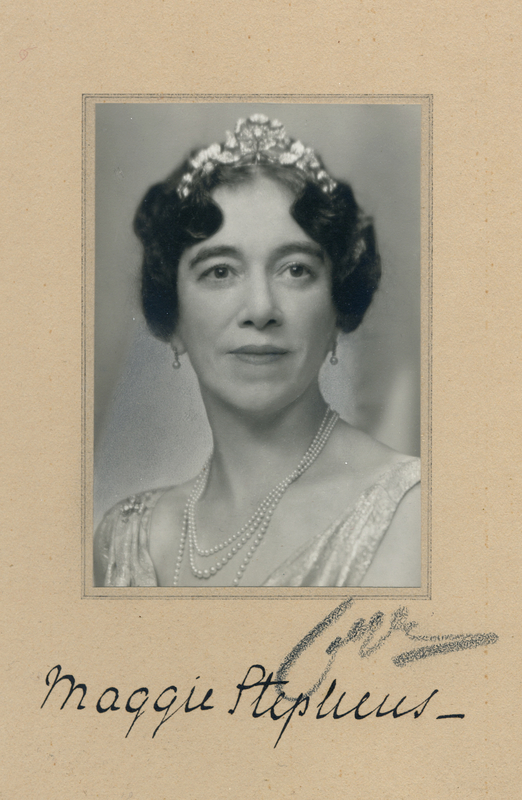 Towards the end of her life Lady Maggie obtained a diploma from the Forestry committee for showing good qualities within forestry management, which was much appreciated by Lady Maggie. Among her other interests was art one of the most important and Lady Maggie owned a great deal of beautiful paintings and artwork. She was also an industrious collector of silver, art glass and Chinese porcelain. On the walls in the entire house many paintings and plates were put up and art objects were arranged in the house’s different rooms. During the 1950’s Maggie was ill over long periods of time and she required hospital attention more often. She often resided at her sister’s place at Torne Manor. 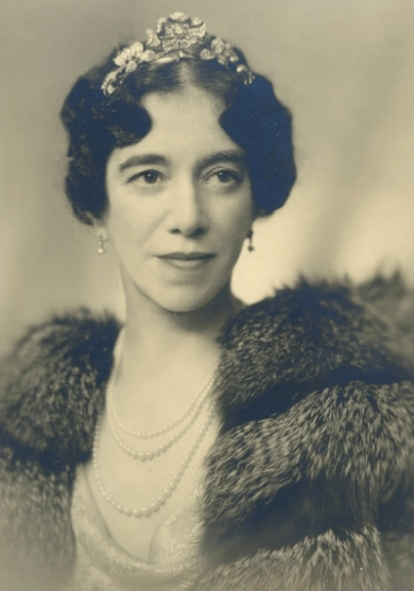 Lady Maggie Stephens was the first among the sisters who died. She suffered of cancer for quite some time before she died in her home on the 18th of March, in 1958. After the funeral she was taken to Solna churchyard, where she was buried in the family tomb. Great attention arose after her death when it appeared that Lady Maggie Stephens, who had been ill over quite some time and who had written several testaments, had bequeathed her entire fortune to Doctor Fredrik Koch in the last version of her testament, which was dated to November 1957. Koch was a doctor at Kristianstad’s hospital and had attended to Maggie Stephens only for a short period of time. The fact that the house doctor inherited (at that time 8) millions of Swedish crowns, 2000 acres of forest, a sawmill, a gigantic forestry operation, and not the least her whole art and antique collection aroused great surprise and attention in the area around Ålshult and Huseby, especially when compared to what the two lawful heirs, Florence at Huseby and Mary at Torne, inherited. The sisters at Huseby couldn’t accept the testament and initiated a judicial process but the court regarded the testament as legitimate and that Koch could inherit her whole fortune. Not only were the money and forestry operation passed on, but also a part of her most valuable art and antique objects were inherited by the legatee. However, most of the objects were sold at an auction in Skåne County and were in that way spread to antique buyers and later resold to general individuals – without awareness of the provenance. 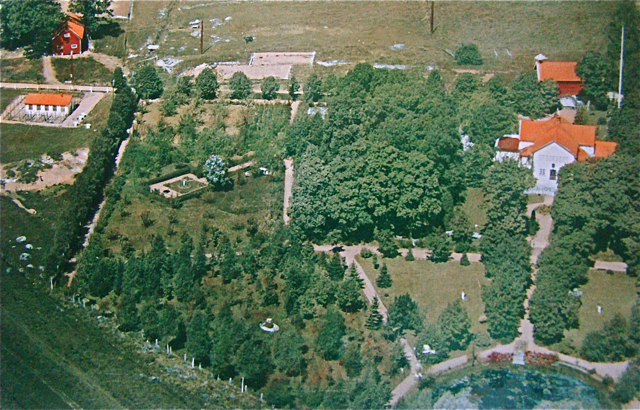 In 1961, the part of the mansion which included the park was divided from the part which included the forest, the sawmill and the agricultural activity. A foundation was established and was given the name Maggie Stephens Foundation for Medical research, which is active even today. The foundation was connected to Lund’s University. From this foundation one could apply for scholarships, grants for medical research, study trips, conferences etcetera. The purpose of the mansion was that it should be used for scientific gatherings and board-meetings. The founder of the foundation, Koch, was chairman over the period 1961-1983. But the truth is that the mansion remained empty during many years. The sawmill was closed in the 60s and in connection to the discontinuation of the railroad services between Karlshamn and Vislanda, which had a station in Ålshult, the life on the mansion came to a complete halt. The people on the mansion went away and the park – which once was her pride and glory – became overgrown. The demise of Koch took place in 1983. The foundation’s activity at Ålshult’s Manor was dismantled in the same year and everything was moved to Lund’s University. In the same year as the foundation was dismantled and moved, the Manor along with its park was sold to a private person. The house has been owned by various individuals since the 80s. The completely overgrown park was given a comprehensive makeover in the 90s. The interior design has of course changed and buildings around the house have been added.